I thought it would be worth starting a thread about DIY projects, over the last few months we have been renovating a fireplace. I found it very useful to keep before, in progress and after pics as these jobs take an age when you try and fit it in around work and life. What DIY jobs do you have on the go or have completed? I dont have any on the go, but I agree about taking before and after pictures. 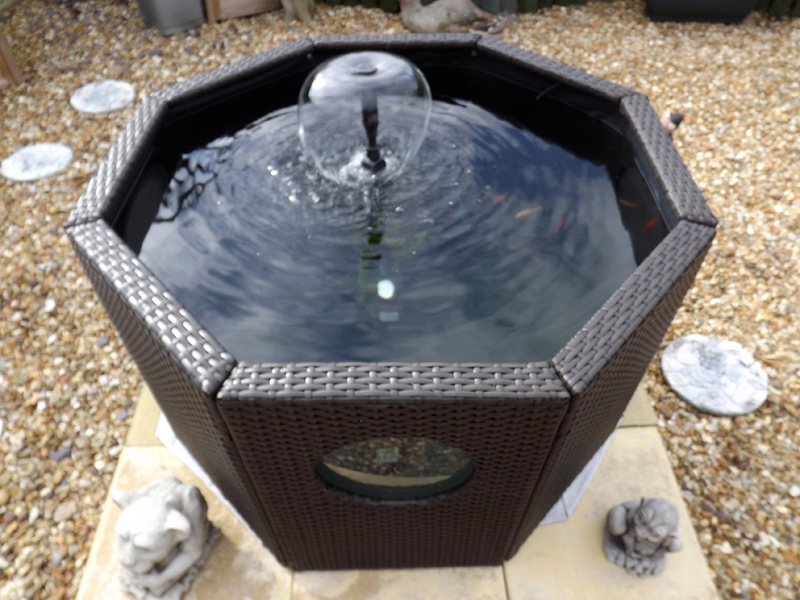 I put together a fish pond back in March. It has nice little windows on 3 of the panels so you can see the fish, and it has a light too which looks lovely at night. Theres a window on the front panel, as you can see, and one on the left and right panels too. I'll get some night shots when the summer warms up abit more. Yeah, it's crazy, I can take pics when flying my plane through turbulence and have them turn out fine, but abit of a cold breeze and I can't get an infocus shot of a pond haha. We got the pond from Dobbies garden centre. It only took an afternoon to put together and fill up. All the gargoyles are my mums, she wanted them on each corner. We had a chimney sweep visit today, I was expecting alot more mess, and it's not bad £60.00 for half an hours work. My mum and dad's new place has a garage that comes with it with an ENORMOUS roof space. I have spent some time over the past couple of months boarding it so it can be used for storage; also fitted a light up in the rafters with seperate switch. Also written an anthem for Breakspear school which is celebrating its 75th anniversary, made recordings of it and a video to show at a big celebration for their ex-pupils held the other week! Does that count as DIY?? One of the people there walked through the gates of the school as a pupil the day it opened in 1937!! !